Not for the faint of heart, this tour is devoted to showcasing the spookiest and most haunted spots on the island. 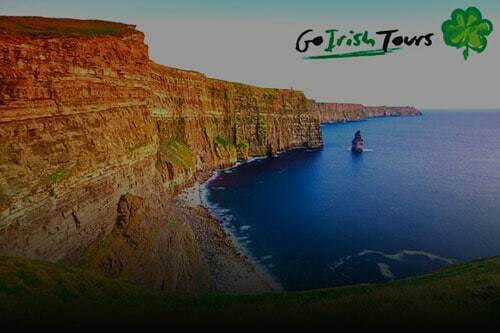 Each stop is steeped in lore, legend and myth, illustrating Ireland’s rich culture and history through story and sightseeing. Learn more about the legends of Cú Chulainn, Queen Maeve, fairies and other folklore. 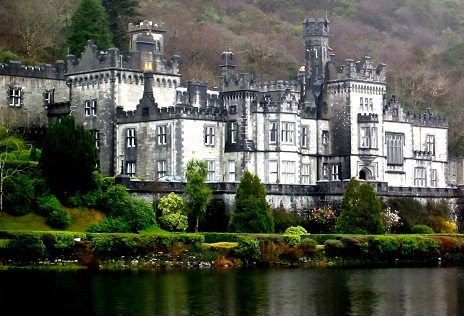 Take tours of draughty castles and haunting halls, including Leap Castle and Kylemore Abbey. 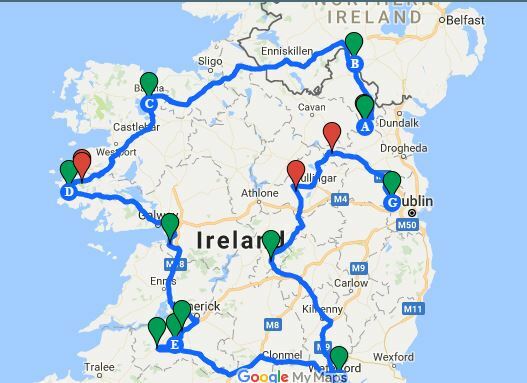 This ranks up at the top of our Ireland vacation packages. 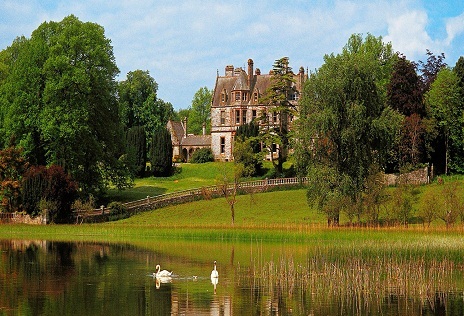 The nights will be spent residing in famous castles and manor houses… if you think you’re brave enough! Take a stroll through the 565 acre Dun na Ri Forest Park. Embrace the views of the beautiful River Cabra along with the historic Cabra Estate. Follow in the footsteps of historic figures such as Cuchulainn and Oliver Cromwell, who graced the Glen of the River Cabra with their presence down the centuries. Come and see the jaw-dropping Ice House, the Toba na Splinne Holy Well, Cromwell’s Bridge, along with the ruins of Fleming’s Castle. While at the park you will encounter the unique Irish mink, red and grey squirrels, along with the Irish hare. Lose yourself in the beautiful veneer of the local Oak Trees throughout the park. Enjoy 1000 acres of breath-taking scenery on the Estate. The Estate has been held by the Leslie family for over 300 years. Past visitors include celebrities such as Sir John Betjeman , Mick Jagger, Paul McCartney, along with world-renowned poet, W.B. Yeats. The ghost of former owner, Norman Leslie who died during the First World War, is said to haunt the Estate. Unexplained happenings such as bells ringing of their own accord, and mysterious figures lurking in the corridors have been reported. 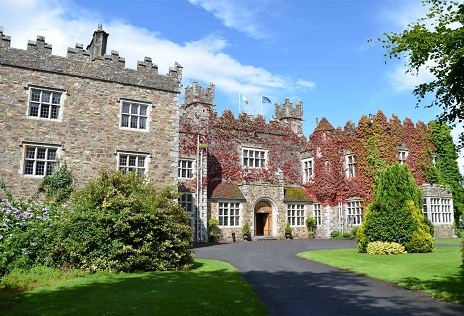 This awe-inspiring, 4 star hotel is located just west of the River Moy. The Estate is engulfed by 100 acres of magical woodlands in the West of Ireland. Large investment and refurbishment has gone into maintaining the integrity and charm of the Estate. The castle’s origins stretch back as far as 1872, with centuries of history seeping into the area. The Estate boasts one of Europe’s most bountiful salmon rivers in the River Moy. 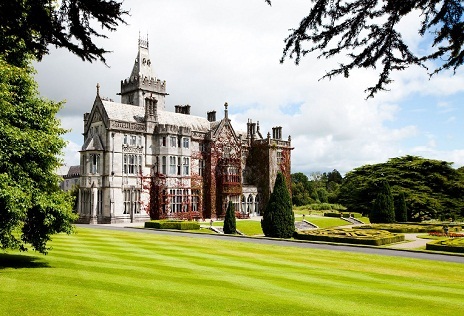 Past visitors include politicians such as former Irish president, Dr. Patrick Hillery, and former Taoiseach, Jack Lynch, along with sporting icons such as Tiger Woods and Nick Faldo. While fitting the modern standards of the 21st century, the Estate retains its mystic Irish charm, hospitality, and history. This mesmerising castle was built by John D’arcy of Clifden Castle. 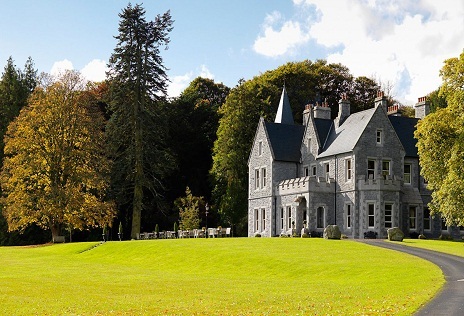 Since 1854 Abbeyglen Castle was used by the Irish Church Mission Society to house orphans. Due to financial difficulties the castle was closed, after which the building became derelict and the home to wandering sheep and cattle. After years of malnourishment the castle was bought by Mr Padraig Joyce of Clifden, along with his wife in the 1960s, before the property was taken over by the Hughes family in 1969, from where it was developed into one of Connemara’s most prestigious hotels. Kylemore Abbey is a Benedictine monastery founded in 1920 on the grounds of Kylemore Castle. It has served as a refuge for Benedictine nuns who fled Belgium during the First World War, while acting as an international boarding school for Catholic girls until June 2010. An evening of superb food and wines along with renowned music, song and storytelling awaits you at Dunguaire Castle Banquet on the majestic shores of Galway Bay. At the banquet hall you will experience the banqueting style of the medieval era; intimate bench seating, dim candlelight and long oak tables. Set in a 19th century convent in Adare, Mustard Seed is a country house which oozes style as it combines the spacious elegance of an earlier age with the comfort and amenities of today. Come and surround yourself with 10 acres of mature trees, orchards, and gorgeous gardens full of vegetables and fresh herbs. Travel back through the ages as you visit the medieval Adare castle, which was an important stronghold for the Earls of Desmond in Limerick. You will be able to feast your eyes on the walled ward within the castle, while taking in the view of the moat which surrounded the castle. Travel into the belly of the beast and sit in the 13th century Desmond Hall where the Earls enjoyed banquets and entertainment. Set on the River Suir, Waterford Castle Hotel is on its own island, and dates back to the 16th century. If you dare, come and see Ireland’s most haunted castle – Leap Castle. Let your skin crawl as you tour around the infamous “Bloody Chapel’ where a priest was murdered by his own brother during high mass over 400 years ago. Encounter evil face on as you peruse the castle’s horrific dungeon, where countless forgotten souls suffered unimaginable and gruesome deaths. Some say these souls still wander the castle. Despite being gutted by fire and lying in ruin for years, the castle is now up and running for visitors to come and see its dark past, and enjoy its contemporary comfort. 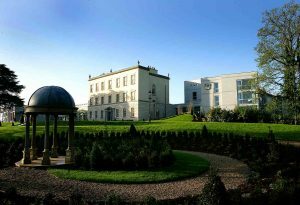 Immerse yourself in 21 acres of luscious lawns and gorgeous gardens at Dunboyne Castle Hotel. The Castle is steeped in centuries of bloodshed and betrayal, since the original Estate was destroyed during the Cromwellian invasion of the 17th century. Come now and experience the blend of traditional heritage and contemporary design. Enjoy the exquisite sights of the Hill of Uisneach in County Westmeath, which traces its history back to the Iron Age, and is said to be the ancient seat of the Kings of Meath. Situated between the villages of Ballymore and Loughnavalley, the location can boast a close connection with St Brigid and St Patrick, with it being claimed that St Brigid received the veil from Ireland’s patron saint here. You will be blown away by the famous cat stone – named so because it resembles a cat stalking a mouse – on the hill, which is six feet tall and weighs thirty tonnes. What is more, the stone is said to mark the centre of Ireland where all four provinces meet. You will also be given the chance to visit the picturesque Loughcrew Cairns, or as it is also known, the HIlls of the Witch, where ancient neolithic passage tombs dating back to 3000 BC stand. Inside these tombs are some of the most beautiful examples of Neolithic art in Ireland. Package includes accommodation, breakfast each morning, guide Booklet, heritage island guide, Attraction guide, car rental with unlimited mileage, insurances. Accommodation – make your choice between cozy B&Bs and hotels, to authentic manor houses and castles.